The Datsun Go has been launched for the entry-level hatchback segment and is expected to give a tough fight to the competition. 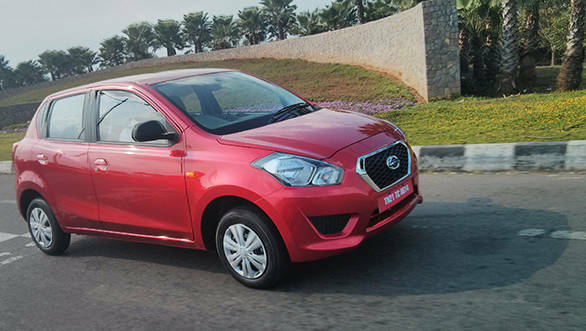 We compare Datsun's offering with Maruti's Alto and Hyundai. All the cars feature a 3-cylinder engine with the Go having the biggest block of them all and generates the most power at 68PS/104Nm followed by the Eon at 56PS/74.5Nm and then the Alto 800 at 48PS/69Nm. Five-speed manual gearbox seems to be the transmission of choice and all the models have power being sent to the front wheels. The Go clearly has the biggest body of them all and also has the most spacious cabin its headroom though is bettered by the Eon by a good 15mm. The Korean gets the maximum amount of wheelbase as is evident from the cabin space and is a whopping 90mm more than the Alto 800. Suspension setup is McPherson struts at the front with the Go getting torsion beam at the rear and the Alto having an isolated trail arm. The Eon has a torsion beam axle at the rear along with standard coil springs. The bigger engined Go, also pulls the most weight at 925kg while the Alto is the lightest at 695kg, the Eon fills the gap between the two sitting at 795kg. Fuel efficiency is the matter of utmost concern for most Indian customers and the Alto gets the cake in this aspect at a claimed 22.74kmpl trailed by the Eon at 21.1kmpl, while the GO's 1200cc engine manages an ARAI certified 20.63kmpl. 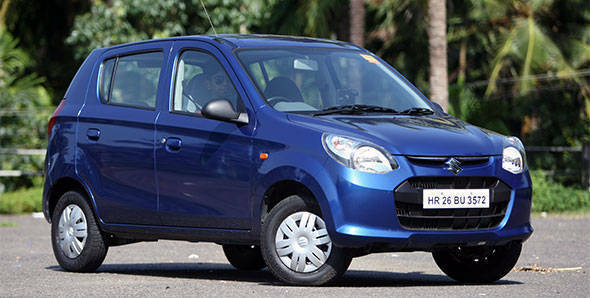 Maruti's offering is cheapest at Rs 2.37lakhs while the Go is the costliest at Rs 3.12lakhs. 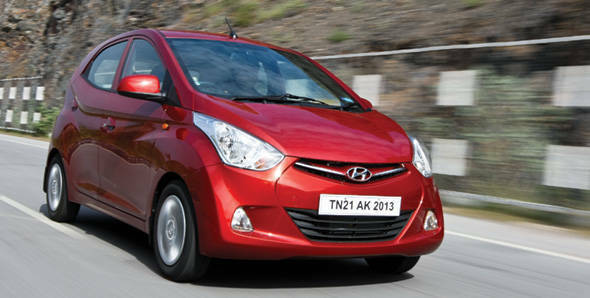 The Eon appears to be the striking the balance at Rs 2.83lakhs, all prices ex-Delhi. Out of these three, except for the Go, the other two offer an option of alternative fuels. Have a look at the table below to get a detailed and clearer picture of the contenders.